En Provence 20% shea butter 150ml. I love using hand cream. 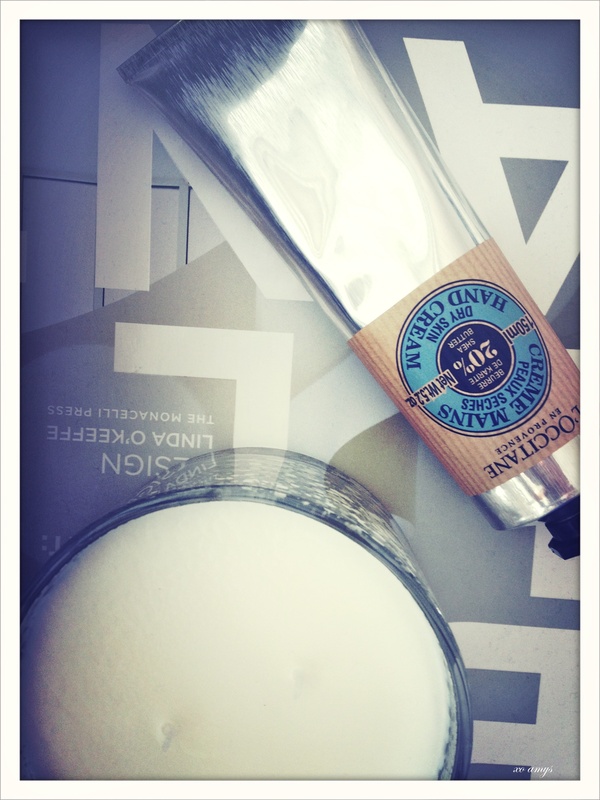 I use my hands a lot during the day so they tend to dry up quickly and therefore this buttery cream is like heaven to the hands. It contains 20% shea butter, honey, almond extracts and coconut oil that creates maximum nourishment. I particularly like this classic because it immediately soaks into the skin and leaves no oily traces behind. It also has a mild pleasant aroma and leaves the hands so soft and smooth. I have créme pour les mains extra pure verveine in its glass bottle by the bedside table and use this every night but this tube is great when you are on the go. They also have smaller travel size tubes that are great on the airplane! I also love the elegant packaging and all LÓccitane products and their stores, total chicness from France. I so wanna try this!! Following you on wordpress..hope you follow me back!! 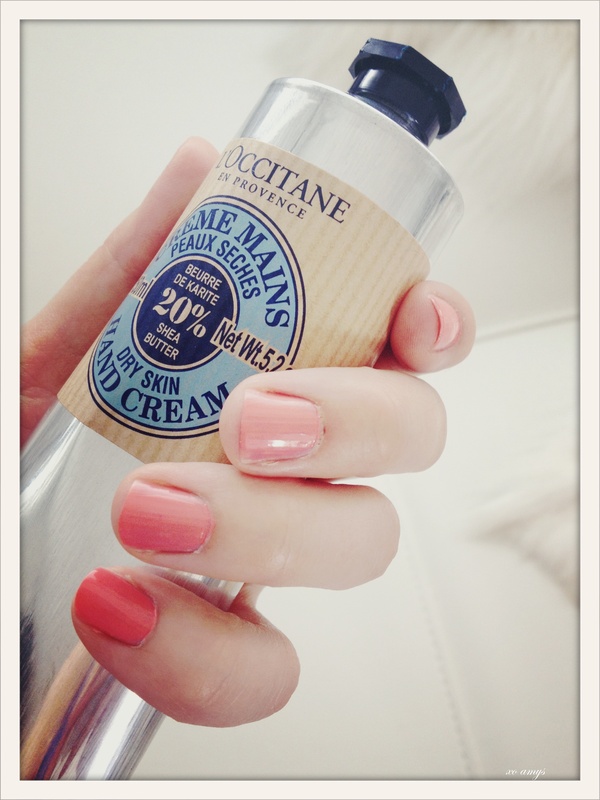 Hand creams is a little obsession of mine: ) I guess dry hands make you more enthusiastic about hand care products. L’Occitane one is very nice, indeed. I also like Melvita Extra Rich Hand Cream and Balance Me Rose Otto Hand Cream. These are both natural (which is important for me) and make your hands feel sooo soft and hydrated. Price is very nice too. 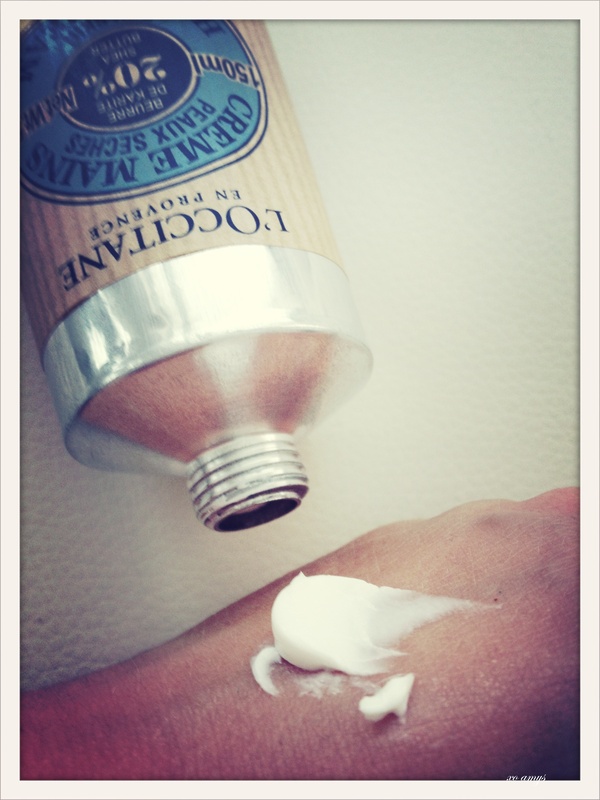 Yes an obession of mine too =) I have to try out your suggested creams as well!